Angry customers are something that no-one likes to deal with. 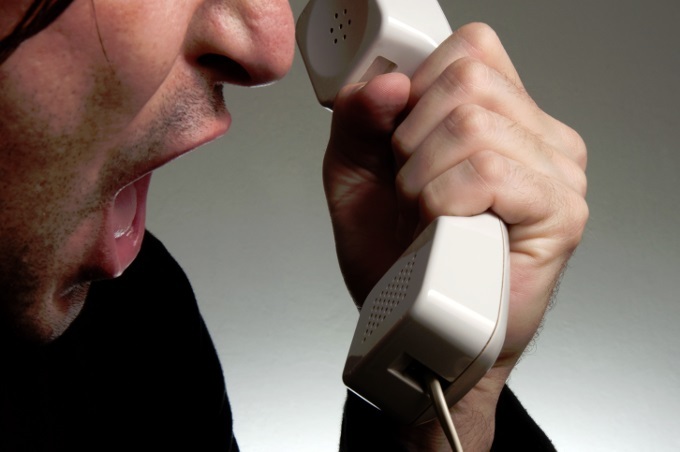 It can be very frustrating and disheartening to have a customer shouting down the phone at you. But this is a situation you need to handle gracefully and sensitively. Take a deep breath and follow these steps to sort out the problem. The first thing to remember is that when a customer is angry to the point that they have decided to call you up to vent their frustrations, they are going to have something to say. Don’t try to cut them off; it will only upset them more if they feel you aren’t taking them seriously. Let them get out their anger and frustrations uninterrupted. Often when customers have had the chance to go through the things that have made them angry, they are more willing to listen to solutions. When someone is ranting at you it can be natural to switch off from it in order to prevent getting angry yourself. But in this scenario it’s actually vital that you listen very carefully to what they are saying. If you then try to continue the conversation and it’s clear they you have missed out key parts, this will only incense them further. Make sure you pay attention to their words so that you can find a way to deal with the problem as soon as possible. The last thing you want to do is to get angry. Customers calling in can be very unpleasant and malicious with their words and it can be especially frustrating if you know that certain things that they are saying are either not quite right or not true at all. But you must retain your professionalism and composure. They are a customer, after all, and it’s far better to resolve the problem and make them feel good about your business than to upset them further. Don’t take it personally. In the vast majority of cases you are not the problem and they it’s just that you are having to take the brunt of their displeasure over an issue. Instead you should try to empathise with the customer and think about how you would feel if you were in their position. They want to know that you can relate to them, so this can be a good way to reduce their anger and improve the situation. If it is appropriate then you should apologise that the customer has found themselves in this situation. Make sure that any apology you give is genuine and they don’t feel like you are simply saying sorry to defuse the situation. Equally you shouldn’t assume that the apology is enough. If the customer feels that something is wrong they are going to want more than a sympathetic ‘sorry’. Once you have listened to the problems that the customer has experienced then it’s time to find a solution. If it’s appropriate, ask them what action they would like you to take in order to resolve the issue. Often an angry customer will understand what they want in order to make the situation right and you should find a way to match their requirements and reach a win-win solution.